Our offices will be closed over the Easter break Please be aware that our offices will close for the Easter break at 5pm today, reopening at 9am on Tuesday, 23 April. Preparations under way for European election People living in Daventry District have until 7 May to register to vote in the European Parliamentary election scheduled to take place next month. Council's support for armed forces sessions Past and present members of our armed forces are being invited to join a new Veterans’ Breakfast club in Daventry. 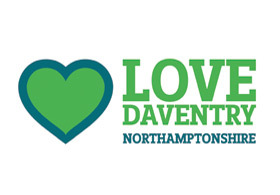 Litter picking kits to support spring clean efforts Litter picking kits are being given out to parishes across Daventry District as part of a national initiative to tidy up our streets and open spaces. Programme to forge new links between schools and businesses Businesses and schools in Daventry District are invited to an event that aims to build on important links between schools and workplaces.